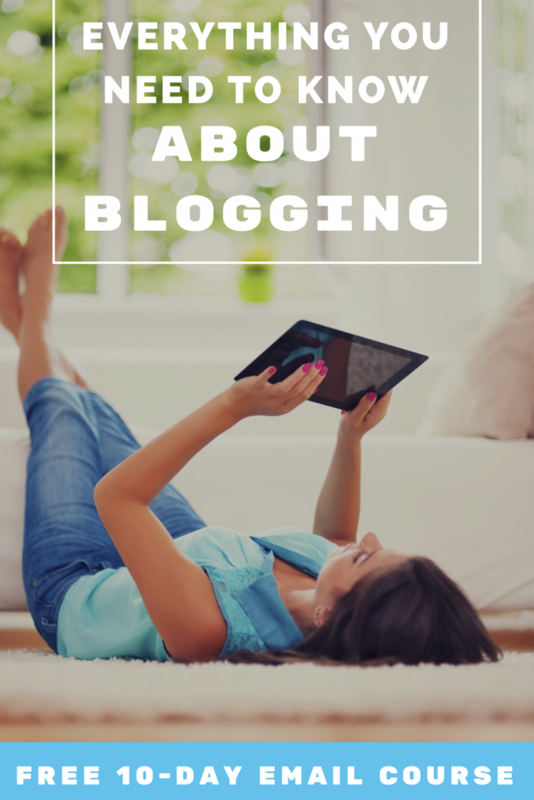 I get asked so often about blogging. 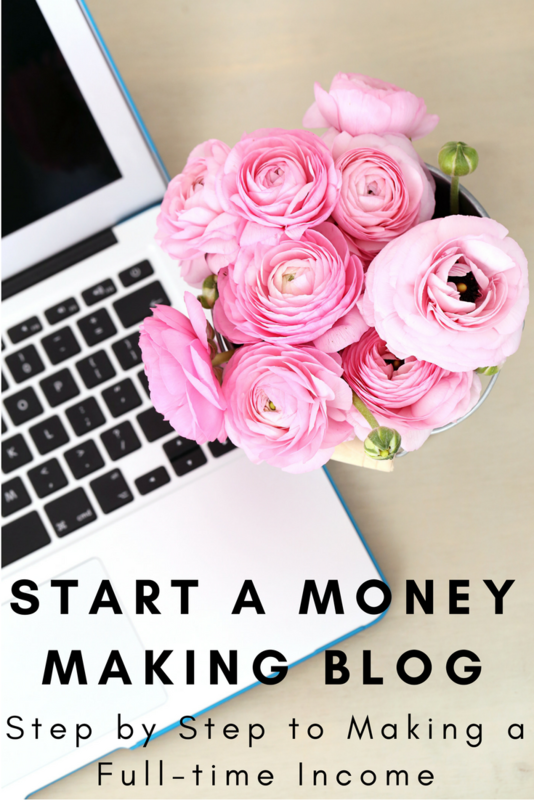 How to start a blog, how to make money blogging, how to create your own blog from the bottom up and the list goes on. I've decided to start blogging about it so I have something with pictures and links for people to read on their own time and follow step by step. 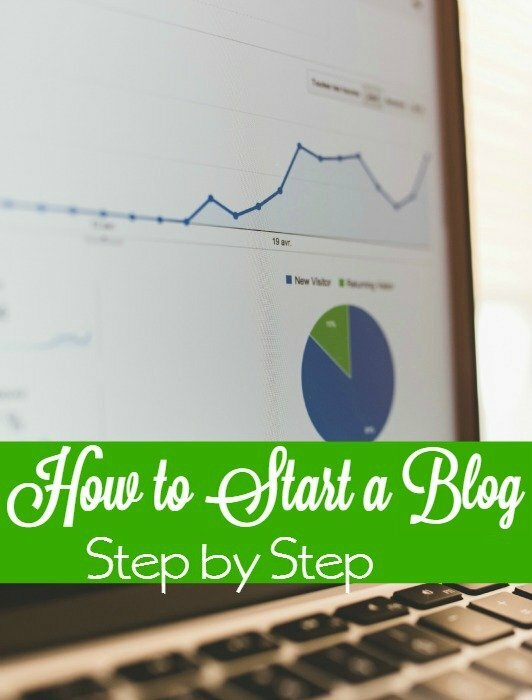 The first decision is to decide if you want to work your blog as a business. If you want to make any kind of money on it then you need to be self hosted and not on free blogger and definitely NOT on Free WordPress. The reason for this the FREE WordPress doesn't allow affiliate links and will shut your blog down for them, which means you can't make money. Blogger has been known to shut blogs down with no warning for no reason other than a traffic spike. I started on Blogger and had to move from Blogger to the PAID self hosted WordPress and wish I had just started there. The move was a headache and I lost some posts in the move not to mention time and money. 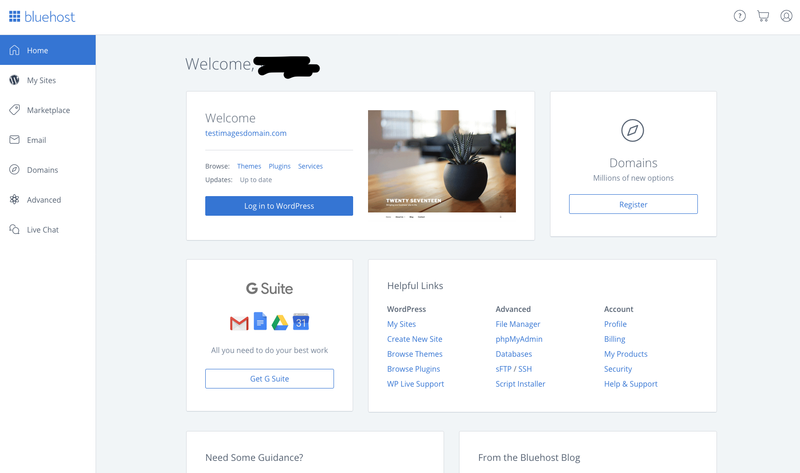 I will walk you through setting up your own self hosted site and at the end you will be read to start blogging and sharing with the world. It's super easy I promise!! First, you need to find hosting. Hosting is the space where your website sits and allows others to see it. 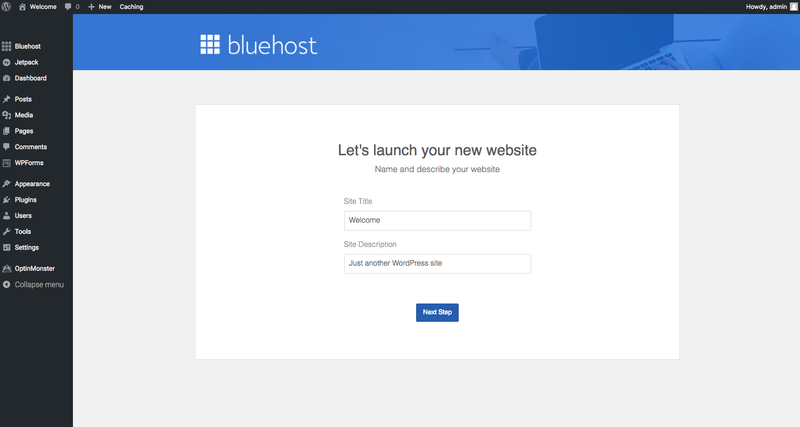 I suggest starting with Bluehost. 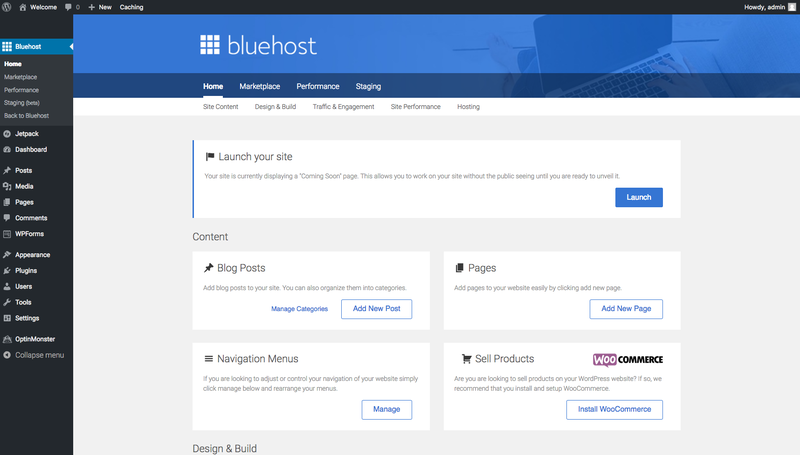 Bluehost is a great option for those on a budget and not making much money, if anything from their blog yet. Hosting is only $3.95 a month. Ok, ready to get started? Don't worry if images are different they are always improving their site so let's get started! 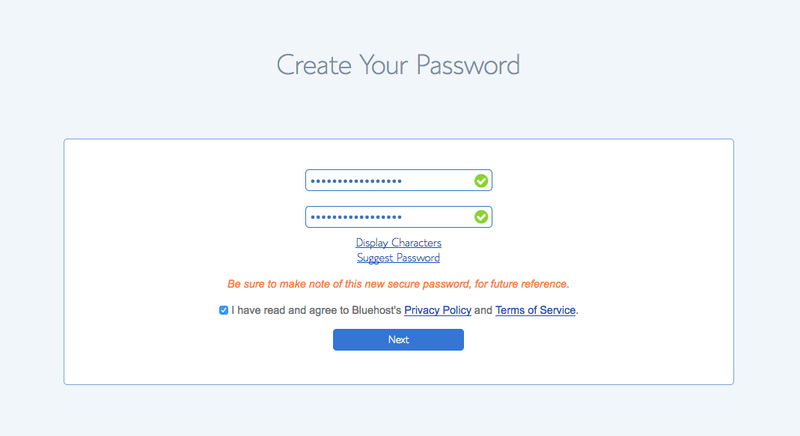 Click here to head to BlueHost. Then choose your plan. You can upgrade at any time and if you are brand new just getting started select the starter plan.If you are more advanced and have more than 1 website select the plus plan. What do you want your website name to be? Doa Google search make sure someone doesn't' have it claimed already or something like it. Then see if you can get the domain! It sometimes takes a few rounds to figure out an available name. Don't choose something close to what is taken. 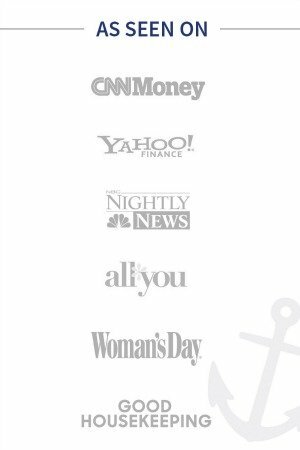 Like my site is THE Frugal Navy Wife, don't try to go for A Frugal Navy Wife. 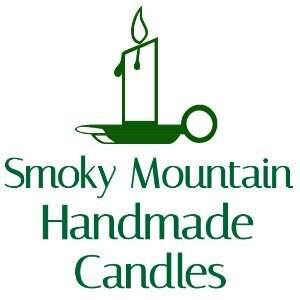 In many cases like mine I own the trademark and can have your site shut down, plus the confusion is never good for the smaller site. Pick a .com it might cost a bit more but people have a hard time remembering .net or .org instead of .com and if the .com is taken you need to pick a different domain that means it is already in use. Make it easy to spell and type, if your last name is some hard last name don't use it. Don't use numbers or special characters. The hard it is to remember the less chance people will be back. Consider SEO, is your blog about camping? Have the word camping or a variation of it in your domain. Something like CampingTripGuru.com where your keyword is upfront will rant for those searching anything camping related. Enter your info on the next page it is self-explanatory. Make sure your email is correct because that where your info email will go! 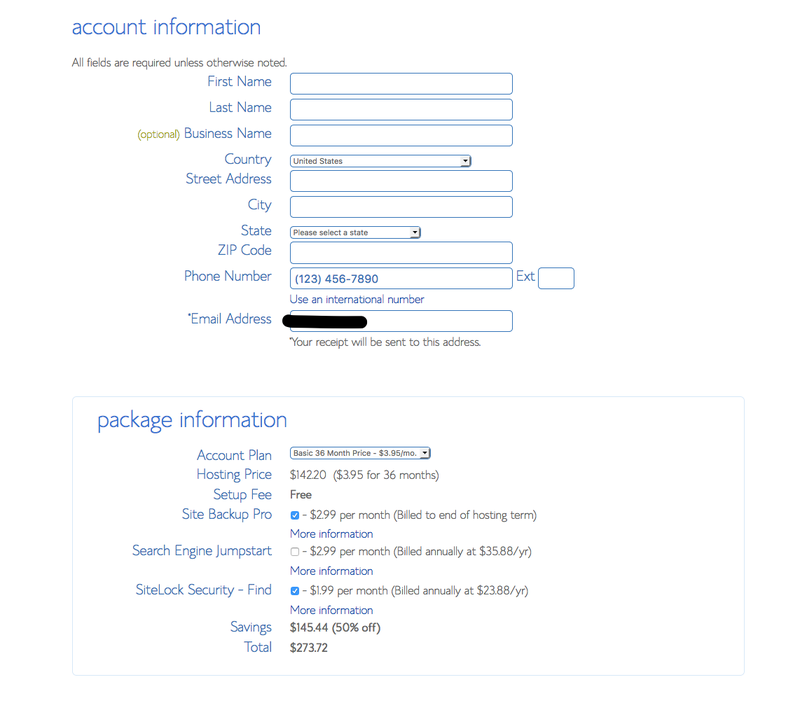 Pick your hosting package and your extras. Of all listed on this page, I only add on the Who Is Privacy. Otherwise, you are bombarded by calls and junk mail people trying to sell you stuff you don't need or want. 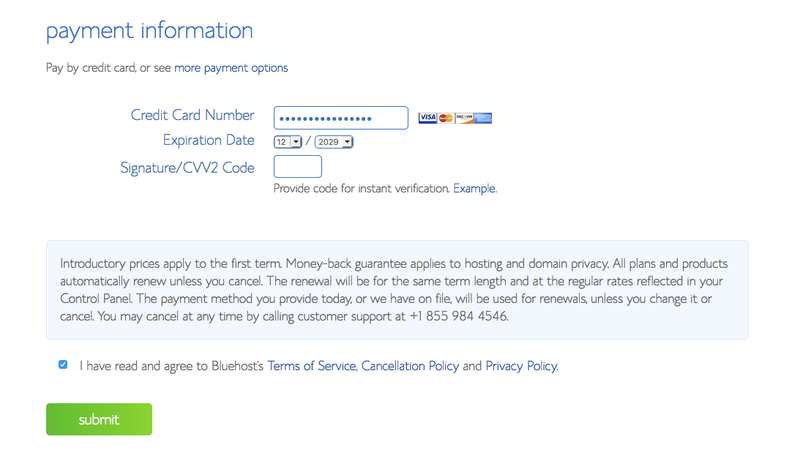 This only shows up if you register a new domain. If you already have a domain you won't see it as an option. 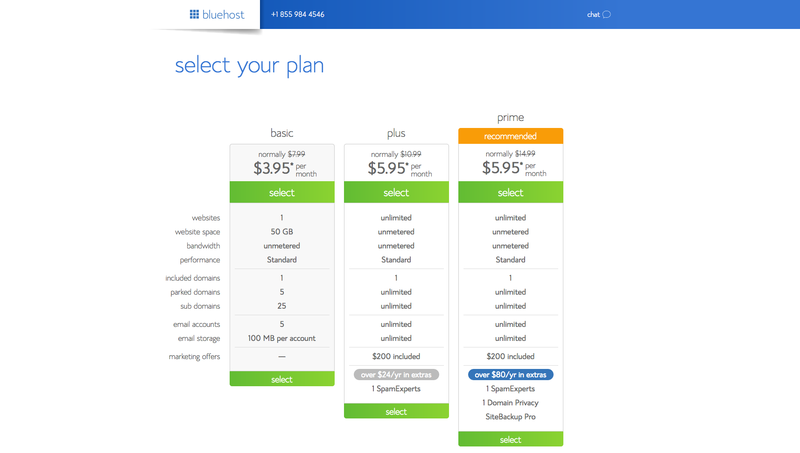 Bluehost bills you for a year at a time. As you see it comes out to the $3.95 a month. Net choose your log on password. Don't make this too simple! Now let's pick a theme! 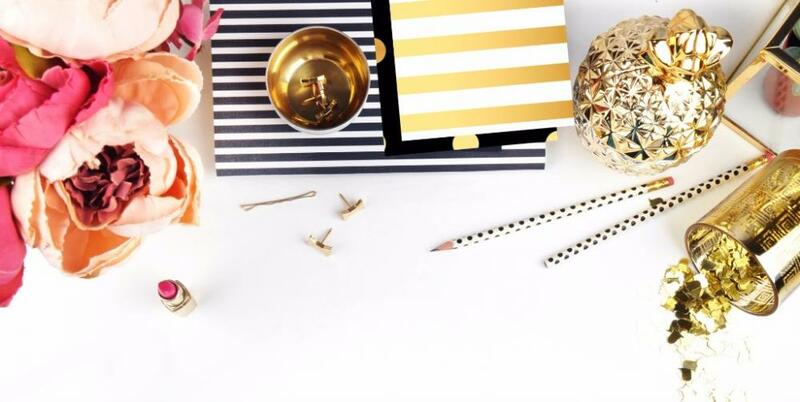 I talk a bit about best tips for themes in my Blogging 101 post. Keep in mind this is just the starter theme you can chnage it at any time. You will land on your dashboard like below and just start answered the questions to build your site! In my 10 Day Start a Blog FREE Email Course I mention that you should have 20 blog posts before you launch your blog. Here is where you can go and write them and add them in. 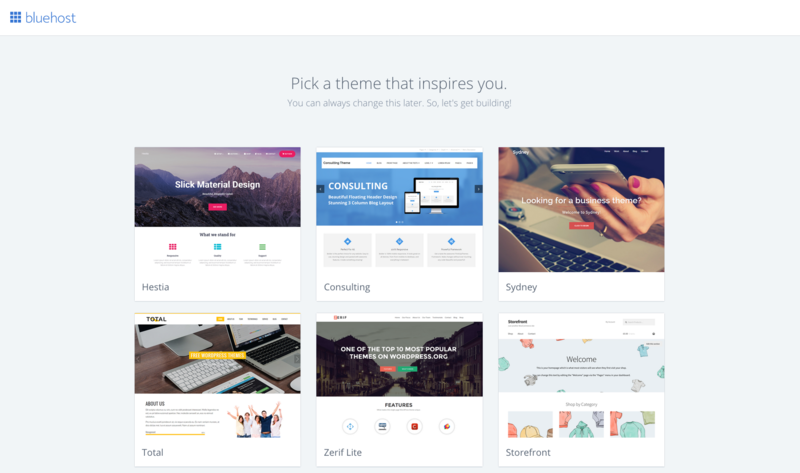 Get your site ready! 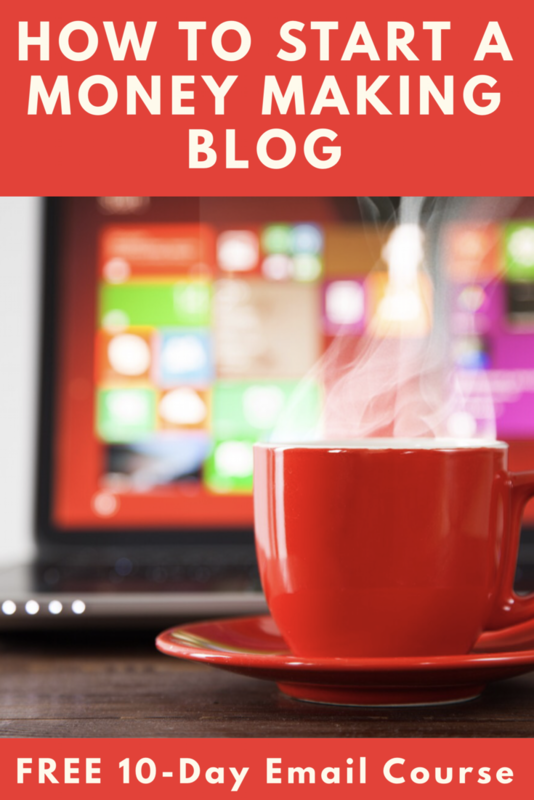 When you have your blog posts done, click the launch button! Your site should now be live! It still could take a few moments to be live but once it is, use the info you created above and log into your site and Bluehost account! 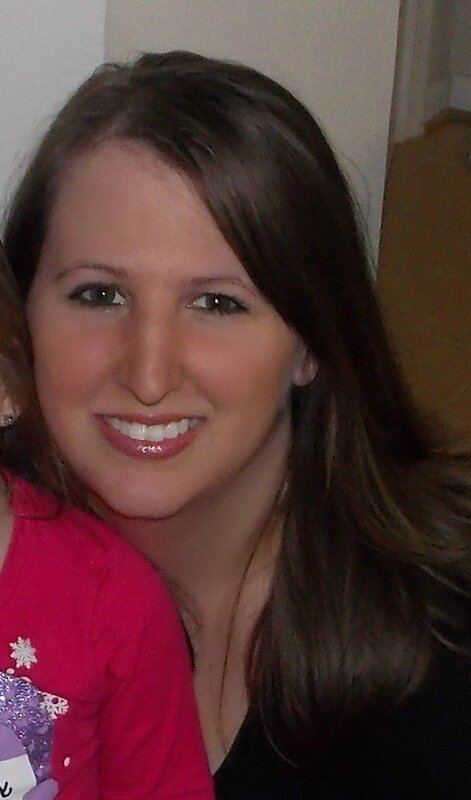 I clicked through your site and created my blog. I am now up to wordpress. My problem is how do I choose a background? I can’t find any information on this anywhere. I have looked in popular books and read as many sites as possible. Can you forward me some advice. Thank you so much for all of your help so far. If you Google “Free WordPress Themes” You will find a ton and each one has a different spot to change them. NORMALLY it’s under appearance, then click on themes and then customize your theme. I have sucessfully created and lauched my blog. It’s called http://www.piecesoffrost.com I would greatly appreciate it if you would add us as a link on your beautiful and amazing blog. If you can’t at this time I understand. 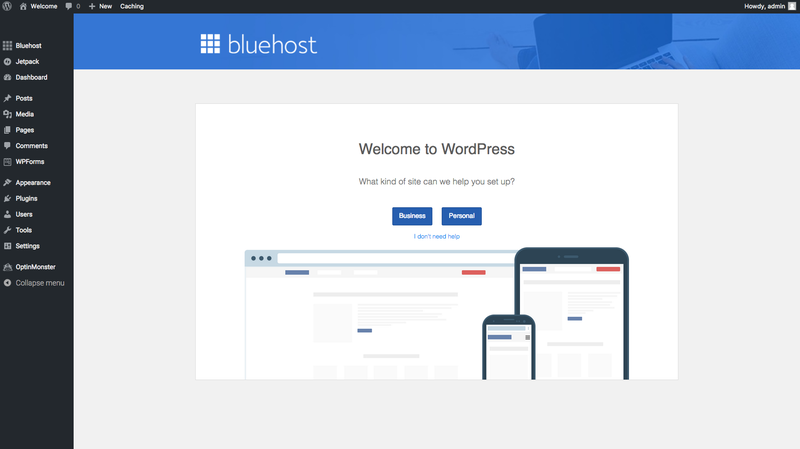 Thanks for clearly documenting the steps for getting a WordPress blog set up on Bluehost. You might consider adding another step about keeping the site patched. WordPress has experienced its share of vulnerabilities — as has other platforms — and it’s important to keep everything updated.